Composed by Johann Sebastian Bach (1685-1750). Arranged by Miranda Wong. Baroque Period, Movies, TV, Children's Music, Wedding. Score. 4 pages. Miranda Wong #MS00479. Published by Miranda Wong (S0.15418). 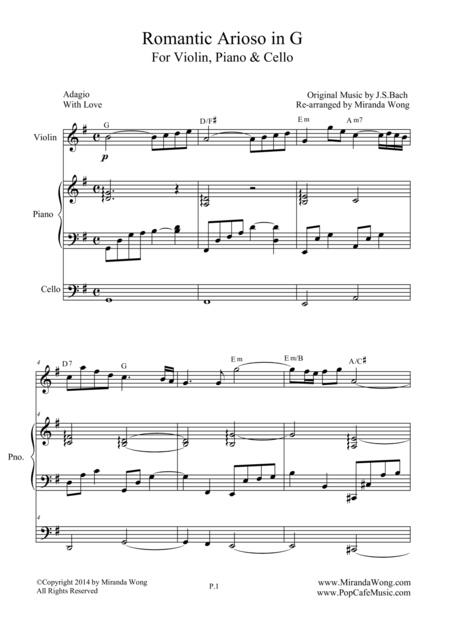 Beautiful & Elegant Pop Version for Arioso in G. Suitable for Wedding or March in Music. G Key with Chords. 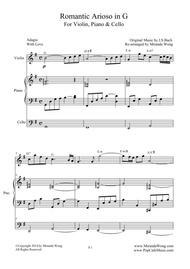 4 Pages.Violin Solo Part with Piano & Cello Accompaniment Part.